Smith Tax & Bookkeeping Services provides professional bookkeeping services for small business and personal accounting. Services include business set-up, maintenance, and on-going support with QuickBooks accounting software. 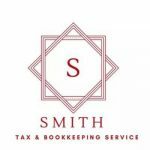 Work For Smith Tax & Bookkeeping Services? Claim This Page.